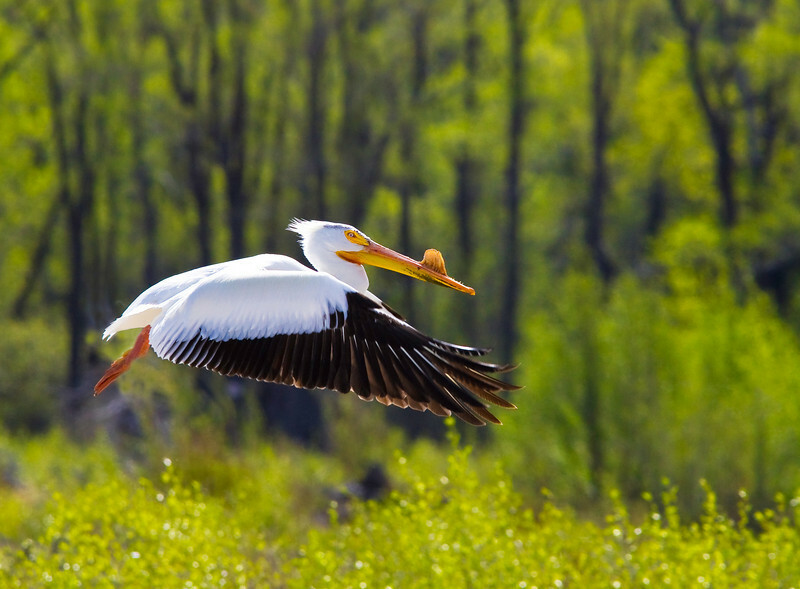 American White Pelican in flight. Snake River, Grand Teton National Park, Wyoming. This pelican was in breeding plumage, as the structure on the bill reveals.